Yesterday we revealed Pre-Checkout Upsells For Your Shopify Store. Today we cover the basics of “Facebook Retargeting” for maximum profits. Strap in boys and girls, today’s a fun one! Take notes, take breaks, and take action as you work through the material. While we are definitely going to be attracting more visitors, the real point of today’s lesson is to maximize the traffic you’re already getting. After you find your winning product, this post shows how you’ll continue to scale. While the Facebook Retargeting Journey is a low cost approach to scaling your Shopify business, it does require a bit of setup. But here’s the kicker – when most Shopify stores are just starting out, you’re only dealing with one or two products that are winning (converting) so far. And because it’s only one or two Shopify store products that you’re promoting, the retargeting journey is going to be a very simple one. The entire point is to maximize the traffic you are already getting with your existing winning products by retargeting custom audiences for each new Facebook ad set you’re about to create. You will be creating a total of 10 custom audiences for each of your converting products. First things first, we are going to retarget the people who viewed content but didn’t add anything to their cart. We will target people who viewed your Shopify store content within 2, 5 and 15 days. This means a new ad set for each new time frame for this particular audience. You can simply duplicate your ads and edit the info accordingly. Select “Website Traffic” when prompted on the following screen. Below all of this to the right of the page, you’ll see something that says “exclude” click it. Now select from the drop down menu “Add To Cart” and enter “2” days in the fields where prompted on the same page. Name it “VC No ATC (2 Days)” so you know which ads are which. Finally, click, “Create Audience” and within a few minutes the ad will be live. Now rinse and repeat this process for each of the time sets mentioned above. Next up, we will create an ad set focusing on on audience that added a product or products to their cart but never completed the purchase. For these ad sets, target people who added a product to their cart without purchasing within the last 2, 5, 10 and 15 days. Be sure to include “Add To Cart” and exclude “Purchase” when setting up this audience. Name it “ATC NO VC (2 Days)” so you know which ads are which. If a customer has already proven they’ll buy from you once, they’ll likely buy from you twice. Name it “CUST NO VC NO ATC (2 Days)” so you know which ads are which. The last piece to this puzzle is actually creating the ad content aka ‘creatives’. 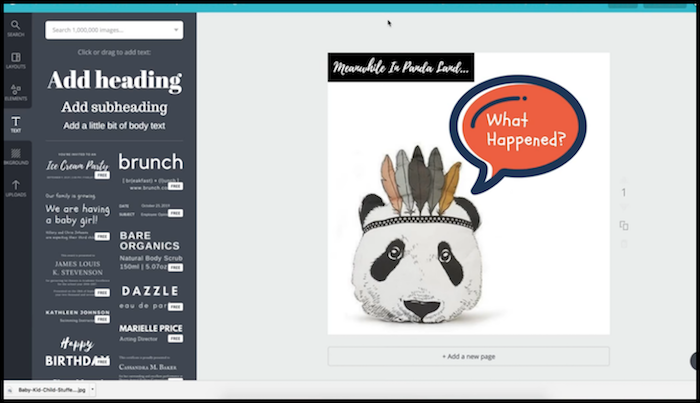 Jump over to Canva, login and click “Create a Design” from the top left corner. It’s FREE to use. Click “Use Customer Dimensions” from the top right of the following page. 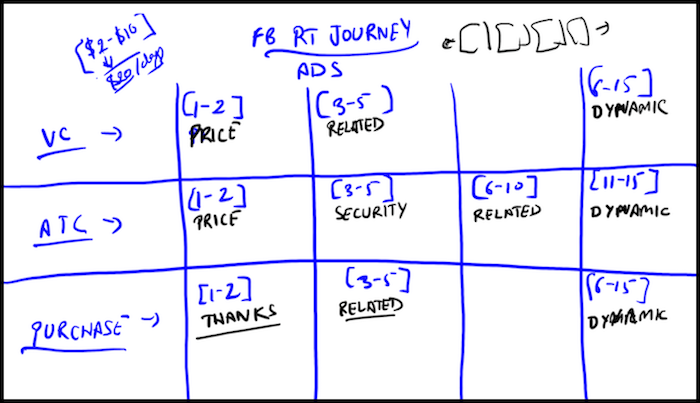 Change the size to either 1200×1200 or 800×800 as these are the sizes that work for FB advertising. And customize the rest of the ad creative according to your own brand. Refer to the video above for additional inspiration. Download your design, and upload it to Facebook Text Overlay to make sure the image text will be approved prior to creating our actual ad. That’s it for Day 23 – Well done! P.P.S. Click here for Day 24!